Falls & Balance Group is a 10 week program run by a Physiotherapist and an Allied Health Assistant. The group is designed to help people reduce the risk of falls through exercise and education. 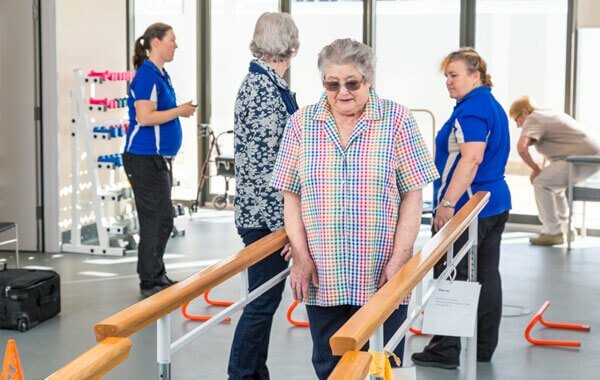 Joining the program can improve your balance, joint mobility, muscle strength, bone density, general health and wellbeing, independence and confidence. The program also consists of an educational session around the risk factors associated with falling delivered by an occupational therapist, podiatrist, physiotherapist, dietitian, pharmacist and counsellor. The group is held weekly on Wednesday afternoon for 2 hours.